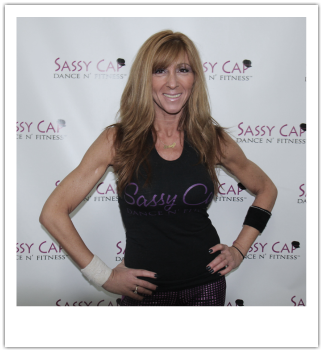 Jeannine Severino is the owner of Sassy Cap Dance N' Fitness and a fitness instructor for over 20+ years. She started dancing at the age of four. Zumba Fitness® finally came along and combined her two passions. In 2008, she became a licensed Zumba Fitness® instructor and an active member of ZIN (Zumba Instructor Network), and in 2012 she started her own dance and fitness company and opened her own Hoboken studio in 2013. Zumba Fitness® has allowed Jeannine the opportunity to share her love of dance and fitness with a wider range of people, and given her the freedom to introduce new and exciting fitness formats such as S.A.S.S., Muscles in Motion, Sassy Step, Sassy Stacked, SocaTONE, etc. Jeannine has traveled the country participating in Master Classes and special fitness events, and has appeared in local news broadcasts. 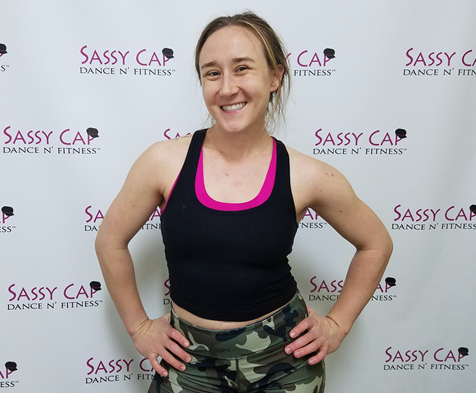 Sarah Rozek is a Zumba Fitness® instructor at Sassy Cap Dance N' Fitness. She has become one of the most renowned instructors in the New York City area, known for her endless energy and her unique teaching charisma. Licensed in Basics I & II, Toning, and Aqua, and selected as one of Zumba’s® first generation of Zumba® Jammers, Sarah's choreography is creative and her style unique, making even the simplest of moves become dynamic and fresh. She has a keen ability to motivate and inspire new and advanced students alike to simply let loose and enjoy life through movement. Sarah has worked in conjunction with Dr. Oz’s non-profit organization, Health Corps, as well as with NBC, representing Zumba® at health fairs for schools across Manhattan and the Bronx. Appearing on The Dr. Oz Show, NBC, and Telemundo, Sarah has also taught on such prestigious New York City stages as Saturday Night Live and Sounds of Brazil. Melissa Carias is a Zumba Fitness® and POUND instructor at Sassy Cap Dance N' Fitness. Originally from Honduras, Melissa has been teaching Zumba® classes since 2007. She is a certified AFAA Personal Trainer, Group Fitness Instructor, ACE Group Fitness Instructor. R.E.D. Warrior Guide (Master Trainer) and POUND Certified Instructor. She was selected by the Zumba® Organization in 2010 as one of the Zumba® Jammers first generation, traveling the world to share her choreography and knowledge with other Zumba® instructors. Melissa has appeared on NBC's Today show and ABC's The View and currently teaches a full schedule at her own Zumba® Studio in New Jersey and at various locations in New York City. 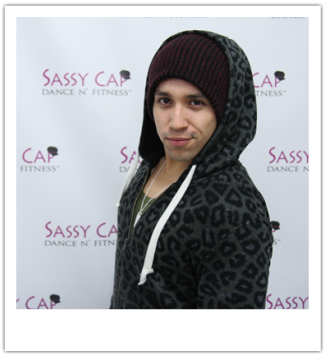 Chris SantaMaria teaches In Da Club at Sassy Cap Dance N' Fitness. He is known for his high energy and unique style. He has a background in dance with a heavy focus on hip-hop. His class fuses creative choreography to various styles of music and is accessible to all levels. 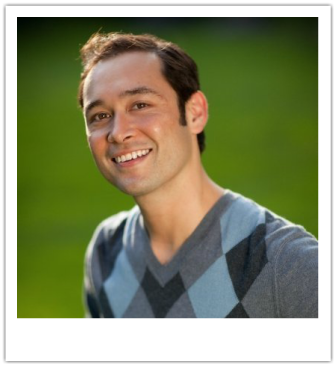 Chris is also a certified yoga instructor, teaching at various locations throughout New York and Northern New Jersey. 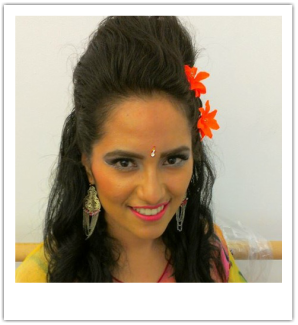 Cloe Andrade is a Masala Bhangra Workout® instructor at Sassy Cap Dance N' Fitness. A native New Yorker, she studied for two years with Masala Bhangra Workout ®creator and founder, Sarina Jain. Cloe teaches Masala Bhangra® and Abs Conditioning at different locations across New York City and New Jersey. In addition, she is certified with Aerobics and Fitness Association of America and is a licensed AFAA Certified Group Fitness Instructor, and Bosu Complete Workout System Instructor. She has performed at the Alvin Ailey World Stage Celebration, cultural festivals, in addition to private events. 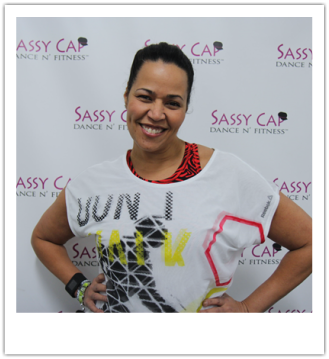 Judy Torres is a Zumba Fitness® instructor at Sassy Cap Dance N' Fitness. Born and raised in the Bronx, Judy is well known for her musical career, often referred to as the "Queen of Freestyle". A performer for over 20 years and an aerobics instructor in the 90s, Judy found Zumba® as a student in Jeannine's class and felt a high about life like never before. After losing over 75 pounds, Judy achieved a long-time goal and became a licensed Zumba Fitness® instructor. Her personality and performance skills have brought her to other careers such as hosting her own radio show on WKTU, Off-Broadway acting, and modeling. Rommel O'Choa is a Music Video Cardio instructor at Sassy Cap Dance N' Fitness. He has been a professional dancer with a career spanning over twenty years. He has toured globally with musicals such as Miss Saigon, West Side Story, and The King and I and is currently staring in the Broadway production of The King and I. He has formal training in ballet, jazz, hip hop, modern, and lyrical, and is also an accomplished aerialist and competitive pole dancer. His recent accomplishments include placing silver in the US Pole Sports Regional Championship, and fourth nationally in the National Aerial Pole Arts Championship. He also teaches dance fitness classes in New York City inspired by top video pop artists like Michael Jackson, Beyonce, and Lady Gaga, as well as Broadway Musical themed cardio classes. 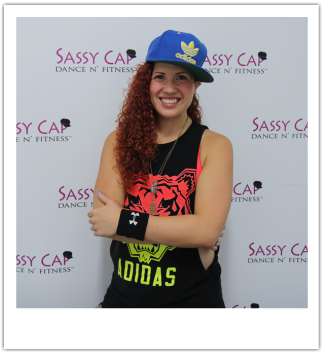 Vanessa Agudelo is an In Da Club and Vixen Workout instructor at Sassy Cap Dance N' Fitness. She has been a professional dancer for the past eleven years, with countless experiences at nightlife events, corporate affairs, and varied productions. For over nine years she has also been a personal trainer and group fitness instructor at various gyms in the New York/New Jersey area. In addition to dance fitness classes, she also teaches spinning and lower intensity classes, focusing on stretching and toning. 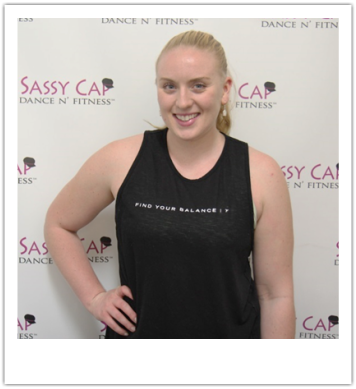 Megan Smith is a Pilates Bootcamp instructor at Sassy Cap Dance N' Fitness. She has 21+ years of dance training in styles such as Jazz, Tap, Ballet, Musical Theater, Contemporary,and Modern Dance. After studying dance for two years at Slippery Rock University, she transferred to Hunter College and graduated with a BA while also working in musical theater. After graduating she fell in love with Pilates, and decided to pursue a career in fitness. In addition to Barre and Pilates, Megan is also a certified ACE personal trainer, PlyoJam instructor, and Pilates Mat certified. 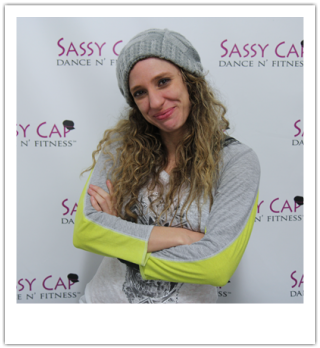 Sarah Ewing is a Boss Chick Dance Workout instructor at Sassy Cap Dance N’ Fitness. She tried her first Zumba class in 2009 and was instantly obsessed with dance fitness as a form of exercise; it was the only workout where she wasn’t staring at the clock. She continued to take dance fitness classes, lost 40 pounds, and in 2015 she became a certified Boss Chick Dance Workout instructor. She teaches in Northern New Jersey and New York City.